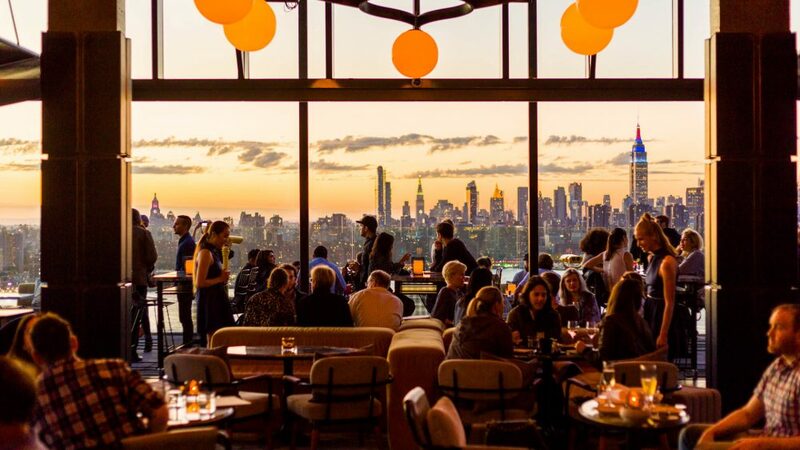 Home 9 Best Rooftop Bars In The U.S.
One of the best ways to finish off a great evening out is with music, drinks and dancing at an amazing rooftop bar overlooking an electric skyline. The view, the ambiance and the people all work together to make for a great experience. 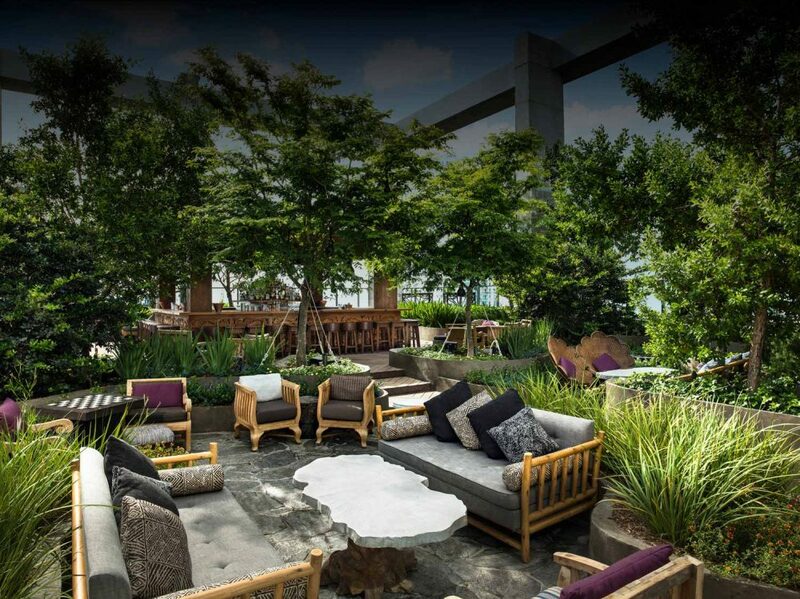 Here are some of the top-rated rooftop bars in the United States. The revival of Brooklyn has turned it into a foodie capital and now a nightlife capital as well. Westlight presents a chic lounge with premier views of Manhattan from 22 floors up, while pairing Andrew Carmellini’s food with Anne Robinson’s intriguing original cocktails. Westlight is open all year, but it is at peak rooftop partying status during the warmer months. There is no better view of our nation’s landmarks without flying over the city. P.O.V. 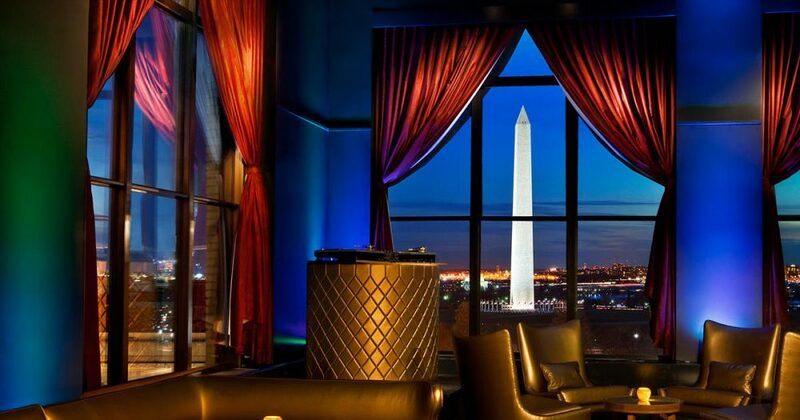 Rooftop Lounge is swanky and known for offering a chance to rub elbows with D.C.’s in-crowd. The bar features delicious seasonal drinks made with locally-sourced berries. Cindy’s Rooftop bar is the place to be at happy hour. With views of Lake Michigan and Millennium Park, guests enjoy Cindy’s “Potions and Elixirs” such as “We’ll Always Have Paris” and “Grey Garden.” The most popular local brews, “Great Lakes, Edmund Fitzgerald Porter,” and “Off Color Tooth & Claw, Dry Hopped Lager,” are always a hit. Diners at Cindy’s Rooftop enjoy one of the best menus in Chicago. 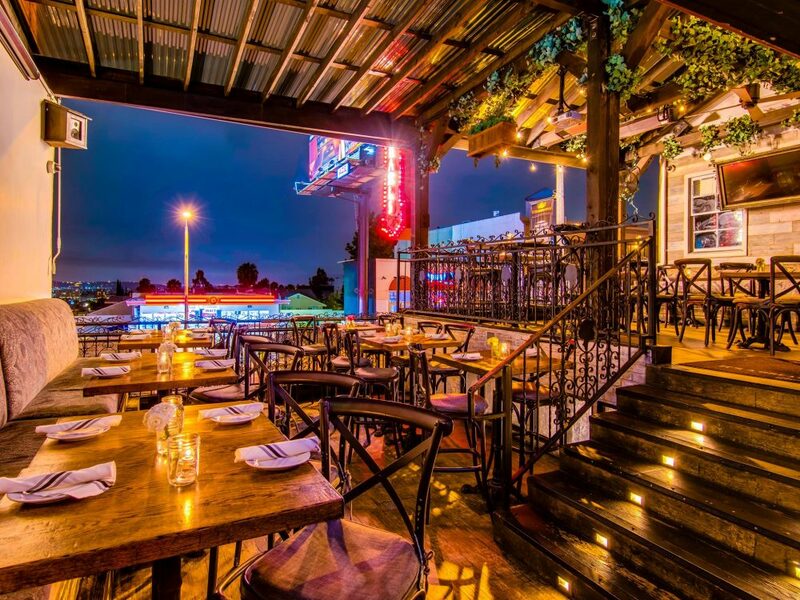 Los Angeles in the Roaring ’20s is alive again at Pearl’s Rooftop. Keep cozy near the fireplace while enjoying the stunning view of the Sunset Strip. A “Pink Pearl” cocktail is a tart, sweet mix of gin and Prosecco. Pearl’s menu features treats from half-pound burgers to ahi tuna-stuffed avocado. You never know which A-lister you’ll be hanging out with at Pearl’s. 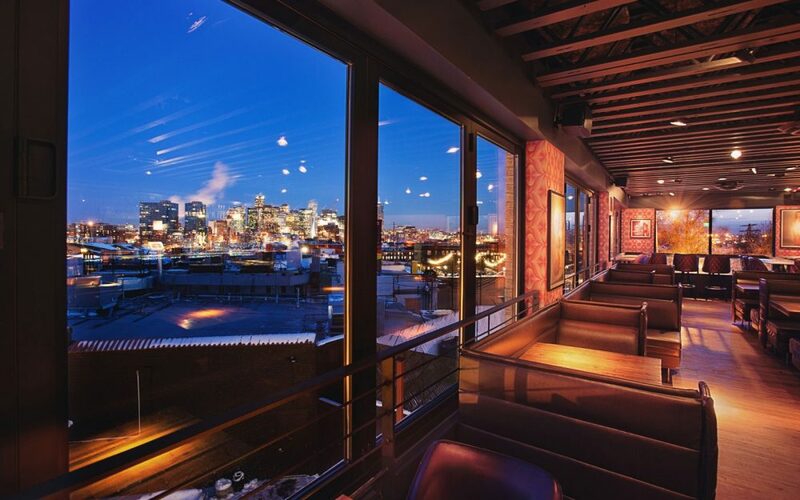 Billed as the hippest rooftop bar in the northwest, Frolik Kitchen fills its 4,000 square foot space with roaring fireplaces, ping-pong tables and shuffleboard courts just a few feet from its posh, candle-lit bar overlooking the brilliance of Seattle’s downtown. 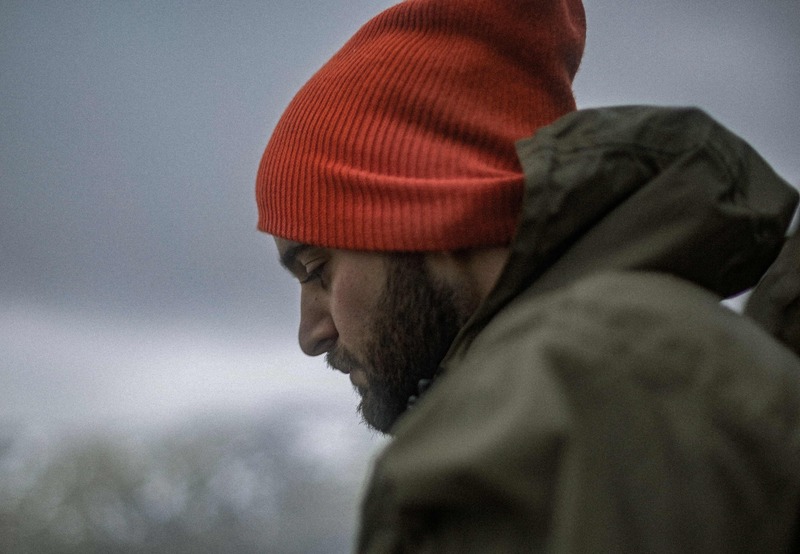 Whether you go for one of the Pacific Northwest’s best local brews or accept the dare to try the specialty of the house cocktail, the “Troublemaker,” there’s nothing but great times for everyone at Frolik Kitchen. There are few party towns like Miami, and Sugar at East is the place to hold your party in Miami. This Asian-influenced hotel has a 270-degree view of the city 40 floors up. Partiers love the garden décor and designer cocktails to match. The rooftop of Atlanta’s old City Hall building is now a beer garden and much, much more. Enjoy 9 Mile Station‘s sumptuous menu offerings ranging from BBQ chicken to lamb Bolognese, whole fish, or silly sausages by the inch featuring bratwurst, merguez and kielbasa. Or treat your group of four to the 9 Mile picnic-basket at Skyline Park next door for carnival games and the best view of Atlanta’s shimmering cityscape. Known for nightlife and its weekend Bears and Brunch, Linger is one of the liveliest bars in Denver. Well known for its eclectic fusion of gourmet global street foods, you’ll enjoy mixes of East Asian, Middle Eastern and Latin dishes. Don’t forget to taste their Mongolian barbecue duck buns or Yellowfin tuna tacos. Your drinks come from their Bar-V, which is a repurposed 1975 hippie RV. Their cocktails are as fun and funky as their food. There’s nowhere better to enjoy the Rocky Mountain high. Nightlife with an Argentinian twist in the Mission District is all the rage. Take in the city while sipping your Bloody Maria or enjoying a pitcher of sangria with small plates of ceviche and empanadas. El Techo de Lolinda is popular from brunch bashes to a late night rendezvous. Rooftop bars are hotter than ever and everyone can look forward to a great night out in just about any big city in the United States. Salut!